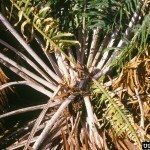 Is my Sago Palm dying? You can remove the flower head. The plants energy often goes to producing the flower and seeds.